Documentation coverage is calculated only for all statement of the file, even decorators. Private functions are not part of the calculation. 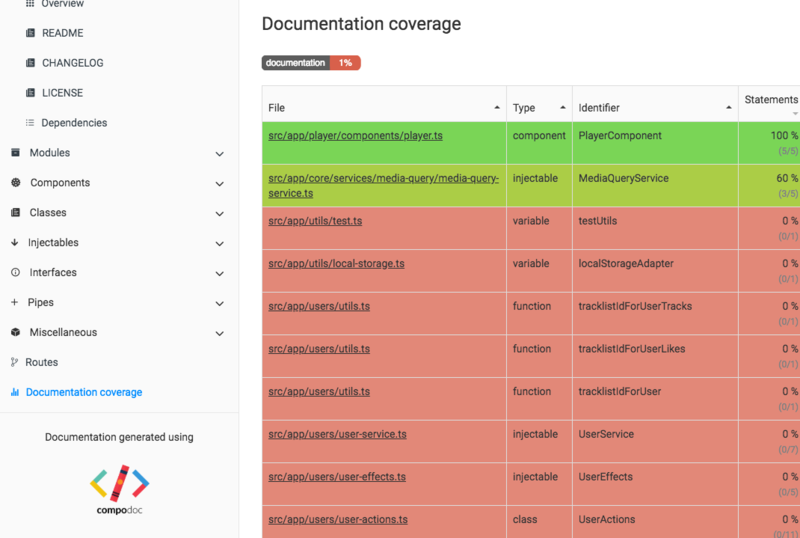 The command --coverageTest gives the ability to test under a CI context the level of documentation coverage. The command --coverageMinimumPerFile gives the ability to specify a minimum of coverage per file.